Intense, sharp photo poster with a roe deer looking into the camera. So gentle, yet so tense. 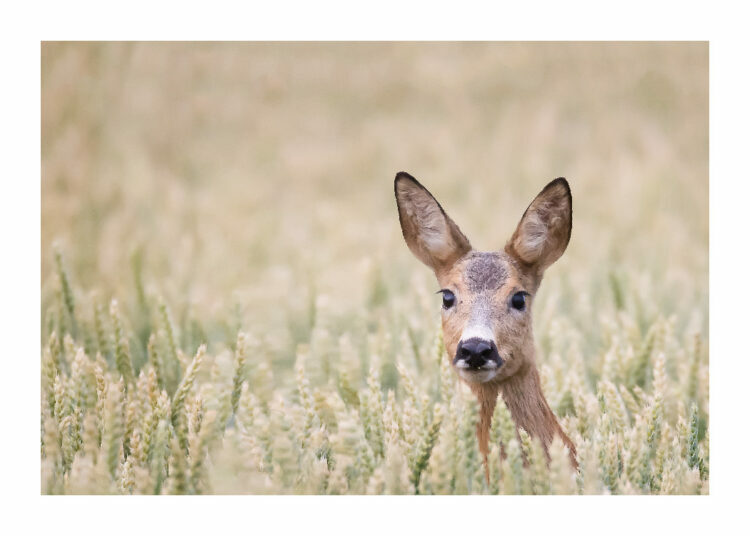 The roe deer reaches up above the wheat field with large, soft ears and sharp look. Beautiful composition and use of the focal depth gives an exciting, captivating feel to the poster. Harmonious colors that combine well when you create a gallery wall and decorate your home in natural materials and with nature-inspired color palettes. The photo poster may be framed and combined with other animal prints or nature posters.